At the core of the "Big Data" revolution lie frameworks and systems that allow for the massively parallel processing of large amounts of data. Ironically, while they have been designed for processing large amounts of data, these systems are at the same time major producers of data: to support the administration and management of these huge-scale systems, they are configured to generate detailed log and monitoring data, periodically capturing the system state across all nodes, components and jobs in the system. While such logging information is used routinely by sysadmins for ad-hoc trouble-shooting and problem diagnosis, we point out that there is a tremendous value in analyzing such data from a research point of view. In this talk, we will go over several case studies that demonstrate how measuring and analyzing measurement data from production systems can provide new insights into how systems work and fail, and how these new insights can help in designing better systems. Bianca is an associate professor and Canada Research Chair in the Computer Science Department at the University of Toronto. Before joining UofT, she spent 2 years as a post-doc at Carnegie Mellon University working with Garth Gibson. She received her doctorate from the Computer Science Department at Carnegie Mellon University under the direction of Mor Harchol-Balter. 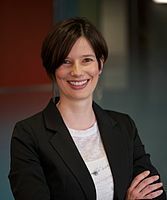 She is an Alfred P. Sloan Research Fellow, the recipient of the Outstanding Young Canadian Computer Science Prize of the Canadian Association for Computer Science, an Ontario Early Researcher Award, an NSERC Accelerator Award, a two-time winner of the IBM PhD fellowship and her work has won four best paper awards and one best presentation award. She has co-chaired the TPCs of Usenix FAST'14, ACM Sigmetrics'14 and IEEE NAS'11, and is an associate editor for IEEE TDSC. Her work on hard drive reliability and her work on DRAM reliability have been featured in articles at a number of news sites, including Computerworld, Wired, Slashdot, PCWorld, StorageMojo and eWEEK. Microservice architectures provide small services that may be deployed and scaled independently of each other, and may employ different middleware stacks for their implementation. Each microservice runs in its own process and communicates with lightweight mechanisms, typically via REST over HTTP. Microservice architectures emphasize transaction-less coordination between services, with explicit allowance of eventual consistency. Polyglott persistence in this context means that the individual microservices may employ multiple data storage technologies. Microservice architectures are "cloud native" allowing for automated and rapid elasticity. Fault-tolerance mechanisms achieve that failures of individual mircroservices do not affect other services thanks to container isolation. Since services can fail at any time, it is important to be able to detect the failures quickly and, if possible, automatically restore services. Essential for success in such a setting are advanced monitoring techniques. In this presentation, I will discuss the effects of microservice architectures on scalability and illustrate these effects on a large ecommerce shop. Automation is essential for enabling DevOps pipelines allowing for continuous delivery of microservices. Besides scalability of a microservice-based system, I will discuss scalability of developing such systems. 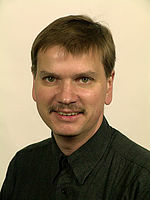 Prof. Dr. Wilhelm (Willi) Hasselbring is professor of Software Engineering at Kiel University, Germany. In the competence cluster Software Systems Engineering (KoSSE), he coordinates technology transfer projects with (local) industry. In the excellence cluster Future Ocean, a large-scale collaborative project of Kiel University and the GEOMAR Helmholtz Centre for Ocean Research Kiel, he is principal investigator and coordinator of the research area Ocean Observations. Early Internet of Things(IoT) applications have been build around cloud-centric architectures where information generated at the edge by the “things” in conveyed and processed in a cloud infrastructure. These architectures centralise processing and decision on the data-centre assuming sufficient connectivity, bandwidth and latency. As applications of the Internet of Things extend to industrial and more demanding consumer applications, the assumptions underlying cloud-centric architectures start to be violated as for several of these applications connectivity, bandwidth and latency to the data-centre are a challenge. Fog and Mist computing have emerged as forms of “Cloud Computing” closer to the “Edge” and to the “Things” that should alleviate the connectivity, bandwidth and latency challenges faced by Industrial and extremely demanding Consumer Internet of Things Applications. This keynote, will (1) introduce Cloud, Fog and Mist Computing architectures for the Internet of Things, (2) motivate their need and explain their applicability with real-world use cases, and (3) assess their technological maturity and highlight the areas that require further academic and industrial research. Angelo currently serves as PrismTech's Chief Technology Officer and in this role he looks after technology strategy and innovation for the Vortex Industrial and Consumer Internet of Things data sharing platform. Before joining PrismTech, Angelo was working as a Scientist at the SELEX-SI and FINMECCANICA Technology Directorate. There, he was responsible for the corporate middleware strategy, for strategic standardization, and R&D collaborations with top Universities. Angelo is a well known and cited expert in the area of high performance and large scale distributed systems and with 100s of publications on referred journal, conferences, workshops, and magazines. 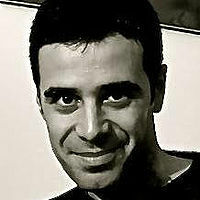 Angelo’s interests include Industrial and Consumer Internet of Things, Innovation and Innovation Management, Product Strategy, Technology Evangelism, Cloud Computing, Standardisation, Open Source, High Performance Computing, Large Scale Mission/Business Critical Distributed Systems, Real-Time Systems, Software Patterns, Functional Programming Languages.